(Worthy News) – For nearly six decades, religious leaders have enjoyed a housing tax exemption from the IRS. But one atheist organization says no more. The Freedom From Religion Foundation is fighting to strip that tax break in a move that would mean churches across the country would be socked with almost $1 billion in new taxes. 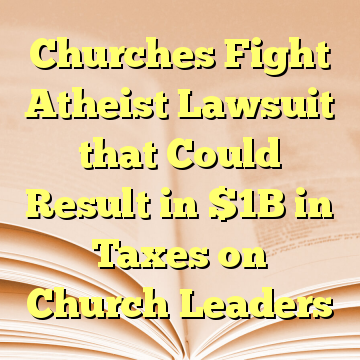 The post Churches Fight Atheist Lawsuit that Could Result in $1B in Taxes on Church Leaders appeared first on Worthy Christian News. 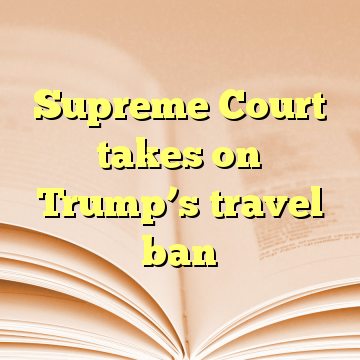 (Worthy News) – The Supreme Court this week will consider one of the biggest cases before it this term: a challenge to President Trump’s executive order restricting travel to the U.S. from eight countries that his administration has deemed to pose terrorism risks. The justices will hear arguments in the case, Trump v. Hawaii, Wednesday, the last argument day for the justices this term. The post Supreme Court takes on Trump's travel ban appeared first on Worthy Christian News. (Worthy News) – The suspect in the shooting at a Nashville-area Waffle House was arrested by the U.S. Secret Service last year for being in a restricted area outside the White House, law enforcement said Sunday. Todd Hudson, special agent in charge with the Secret Service’s Nashville office, said the suspect — identified by police as 29-year-old Travis Reinking — was arrested outside the White House in July. 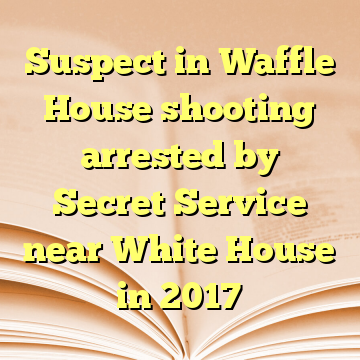 The post Suspect in Waffle House shooting arrested by Secret Service near White House in 2017 appeared first on Worthy Christian News. (Worthy News) – The head of the Iranian army on Saturday said Iranian forces were working to “annihilate” Israel and predicted they would achieve success within 25 years. The threats from the Commander of Iran’s Army Major General Abdolrahim Mousavi come amid almost daily warnings of conflict from Tehran and Jerusalem, heightened by an alleged Israeli strike on an Iranian base in Syria earlier in the month. 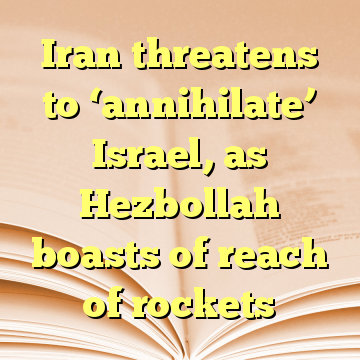 The post Iran threatens to ‘annihilate’ Israel, as Hezbollah boasts of reach of rockets appeared first on Worthy Christian News. 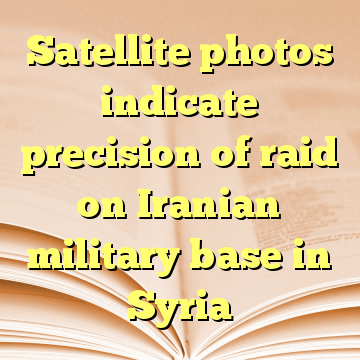 (Worthy News) – Satellite images taken before and after a raid on an Iranian military facility in Syria earlier this month reveal the precision and limited scope of the airstrikes, Channel 10 reported Sunday. The images obtained by the channel show the charred remains of a single hangar at the Tiyas airbase, with the surrounding area relatively unaffected. The post Satellite photos indicate precision of raid on Iranian military base in Syria appeared first on Worthy Christian News. (Worthy News) – The Palestinians will not allow US President Donald Trump or anyone else to say that Jerusalem is the capital of Israel, Palestinian Authority President Mahmoud Abbas said on Saturday. The Palestinians, Abbas said, will continue to fight Trump’s decision to recognise Jerusalem as Israel’s capital as they have been doing for the past few months. 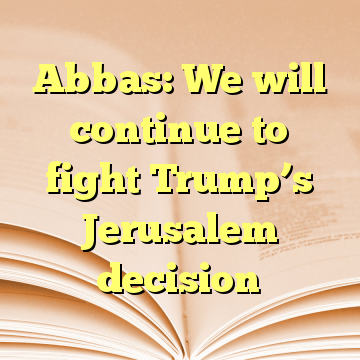 The post Abbas: We will continue to fight Trump’s Jerusalem decision appeared first on Worthy Christian News. (Worthy News) – Treasury Secretary Steven Mnuchin is to lead a delegation of 250 people from the United States, including some 40 politicians, to the opening of the embassy in Jerusalem next month, Channel 10 news reported Sunday. 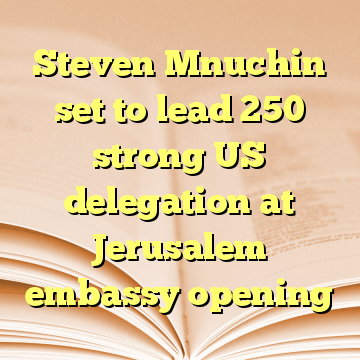 The post Steven Mnuchin set to lead 250 strong US delegation at Jerusalem embassy opening appeared first on Worthy Christian News. (Worthy News) – A Hamas-affiliated Palestinian engineer from the Gaza Strip was shot dead on Saturday near the Malaysian capital of Kuala Lumpur in an assassination blamed on the Mossad. Hamas threatened retaliation against Israel for the slaying. The post Mossad blamed for death of Hamas-affiliated engineer in Malaysia appeared first on Worthy Christian News.